When Sallah appeared mysteriously in Washington, DC, in the early 1990s, I thought he must be working for the CIA or another secret agency. He turned out to be one of the founding members of El Fatah, the Palestinian Liberation Organization. Sallah’s career was legion within the Palestinian world. It took him from his birthplace Bethlehem to El Shams University in Cairo, the Royal Palace of Jordan, a series of battles against the Israeli army, imprisonment in Ansar during the Lebanon War, and finally to the position of Governor of the Province of Bethlehem. 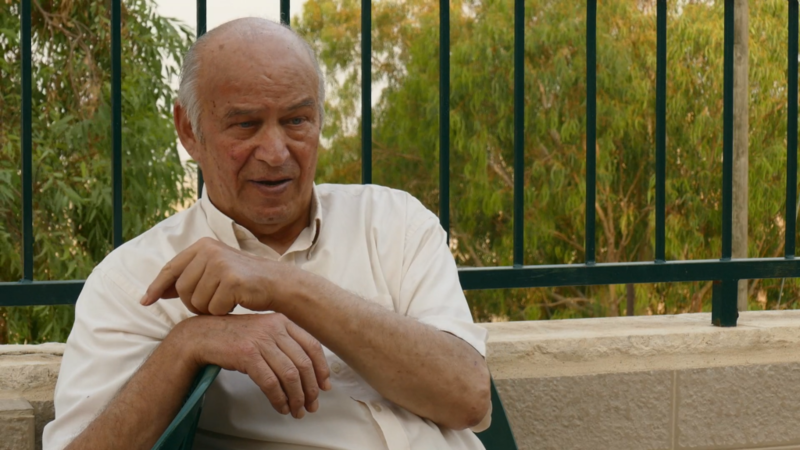 We interviewed him at his house in the village of Za’atar, the largest settlement in an area inhabited by the Bedouin tribe Al-Ta’amar, from where he took his nom-de-guerre. Now retired from political life, he shares the house with Jameela and their three children.